Sarah Nader- snader@shawmedia.com Sarai Butler of Woodstock dances along to the mariachi band while attending Thursday's third annual Dual Language Parents Educational Night at Prairiewood Elementary School Nov. 3, 2016. 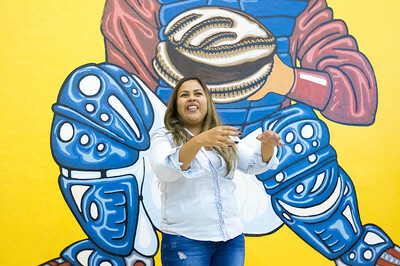 The event featured food, live music, activities for kids, workshops for parents and speakers. 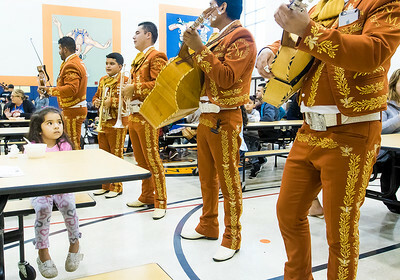 Sarah Nader- snader@shawmedia.com Olivia Avitia, 3, of Woodstock listens to the mariachi band while attending Thursday's third annual Dual Language Parents Educational Night at Prairiewood Elementary School Nov. 3, 2016. The event featured food, live music, activities for kids, workshops for parents and speakers. Olivia Avitia, 3, of Woodstock listens to the mariachi band while attending Thursday's third annual Dual Language Parents Educational Night at Prairiewood Elementary School Nov. 3, 2016. The event featured food, live music, activities for kids, workshops for parents and speakers.